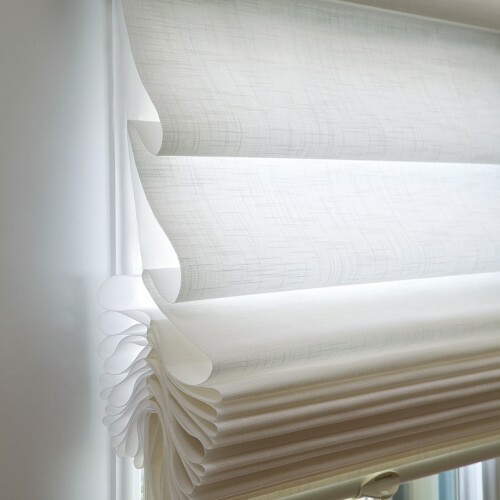 Explore a modern take on a traditional Roman blind with Luxaflex Modern Roman Shades. 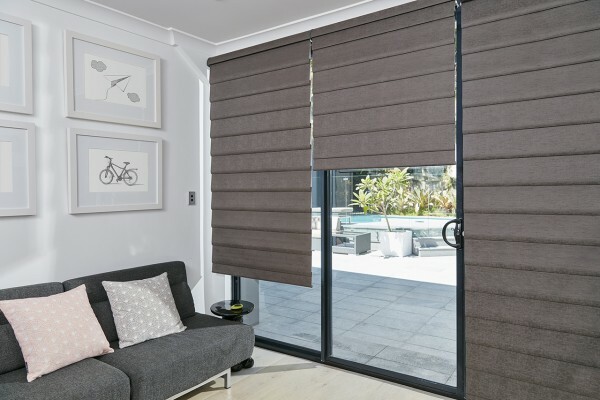 Designed with child safety in mind, Luxaflex Modern Roman Shades have no exposed cords on the back of any of the operating systems available and offer a variety of child-safe styles, available only from Luxaflex Window Fashions at O’Gormans. 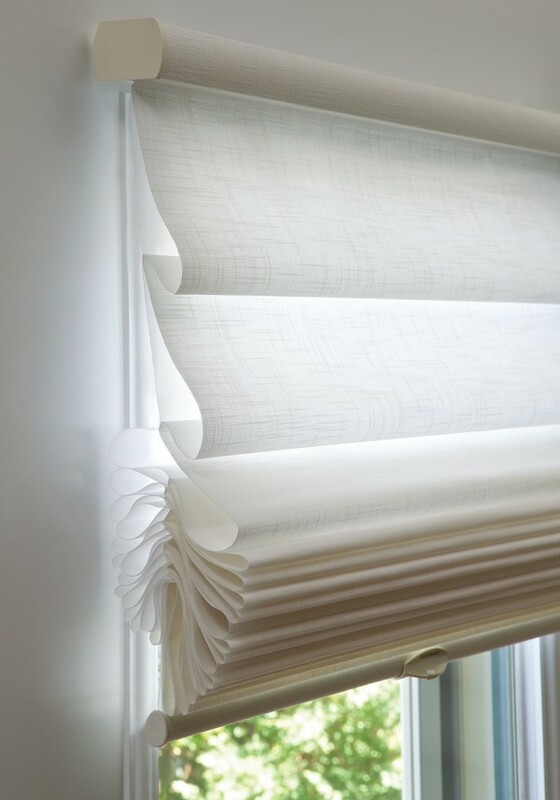 Luxaflex Modern Roman Shades come in a wide choice of fabrics that capture all moods, textures and styles. 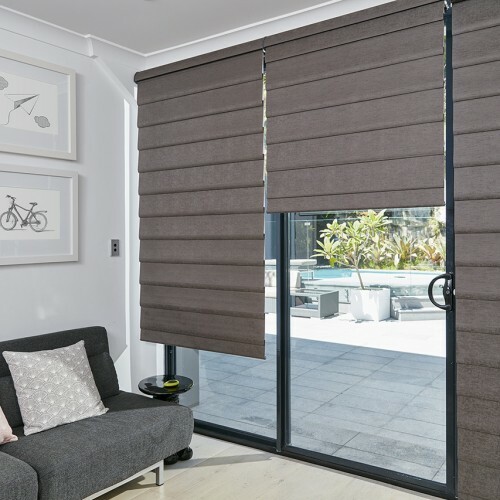 With 11 fabric ranges and 72 timeless colours available in room-darkening and translucent opacities, Luxaflex Modern Roman Shades add an element of contemporary design to any home. Just when you thought Luxaflex Modern Roman Shades couldn’t get any better, Traditional and Tailored styles are now available with LiteRise operation for enhanced support and smoother control. Shades roll up into the head rail for an unobstructed view. Contoured folds remain neat and consistent with every operation. Available in a 100mm contoured vane, in translucent and blockout opacities. 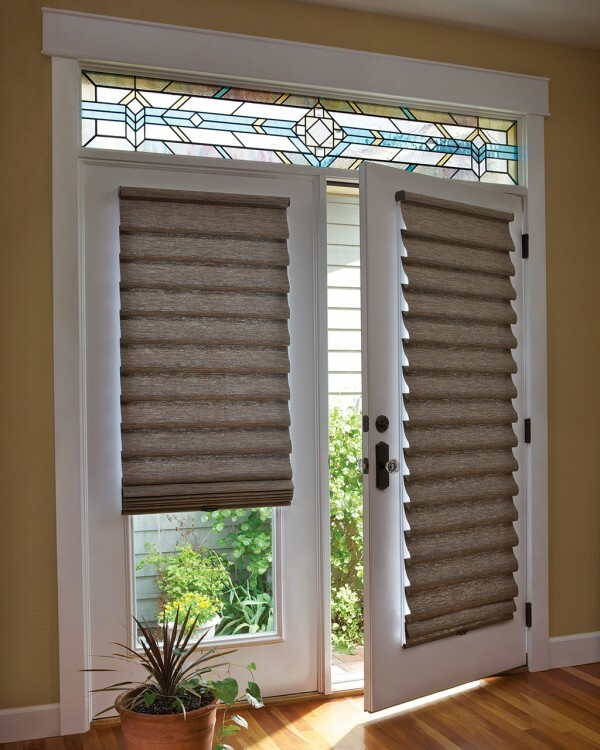 Contemporary flat-fold design reminiscent of batten-style Roman Shades. Shades also roll up into the head rail for a clear view. Available in a 150mm flat vane, in translucent and blockout opacities. Shades stack up, down or anywhere in between. Low-profile fabric-covered head rail requires less mounting depth, perfect for narrow reveals. Available in a 100mm contoured vane, in translucent opacity only. Luxaflex Traversed Modern Roman Shades now span up to 9m with the Split Stack option. These large spanning widths are achieved by joining two headrails. If a shade exceeds 4860mm width, two headrails are butted in the centre of the shade which also features a fabric tab/connector on the fabric-covered headrail. 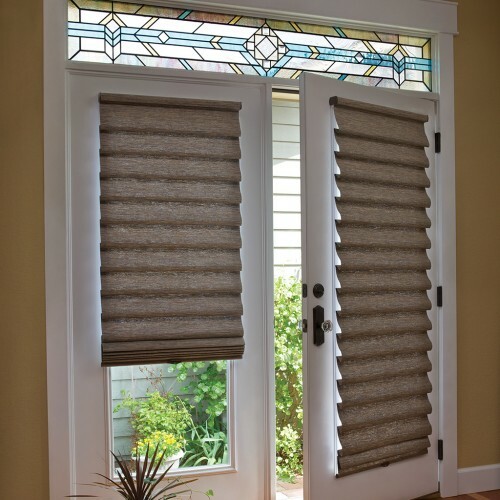 Ideal for wide expanses and sliding glass doors. Tight stack back optimizes view. Available with Left or Right Side operation only.